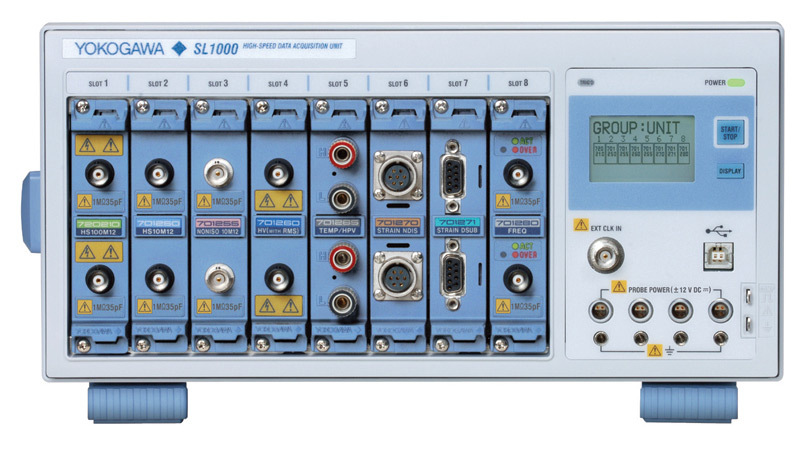 There are some modules which can be used with the DL750 but cannot be used with the DL850. This is due to the nature of the FPGA for that module, which cannot be interchanged between the DL750 and the DL850. During initialization, the DL850 verifies the serial number, firmware version, and FPGA version of the 701250 module. If the firmware is not current or if the DL850 finds an incompatible module, it issues an ERROR 916 to alert the user. The SL1000 experiences a similar issue. Please contact your local Yokogawa Service Center to arrange the servicing of your module. 701250 and 701255 modules with serial numbers within the range 91F815648 - 91G328674 may be affected.